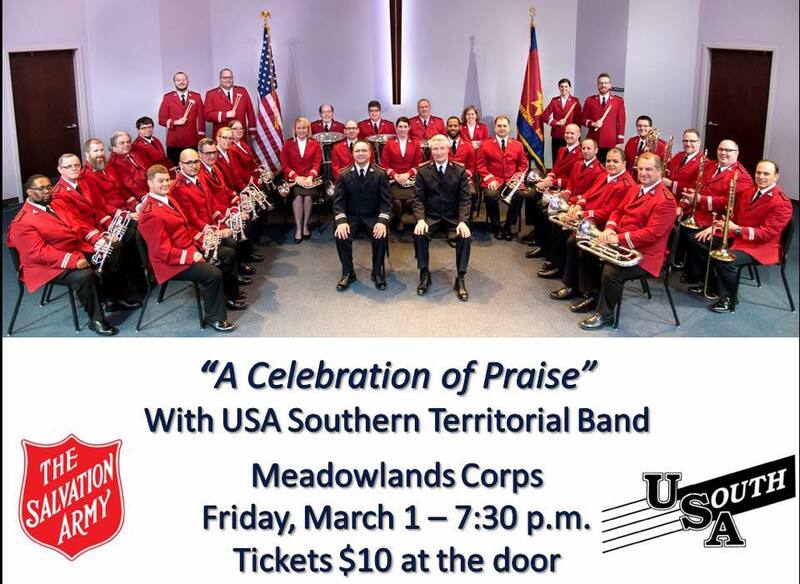 TERRITORIAL BAND KICKS OFF TORONTO CELEBRATION AT THE MEADOWLANDS ON FRIDAY MARCH 1. The Southern Territorial band will be in Toronto to celebrate the 50th Anniversary of the Canadian Staff Band. They will be performing concerts on Friday March 1 (at Meadowlands), Saturday March 2 at Roy Thomson Hall, and leading worship at the Scarborough Citadel Corps in Sunday March 3. The Saturday concerts at Roy Thomson Hall include a 30 minute afternoon concert by the Territorial Band at 3:45 PM, and a massed concert with the Canadian Staff Band, Chicago Staff Band, New York Staff Band, and Western Territorial Staff Band at 7:30 PM. You can find more details on the events of this weekend here. The USA Southern Territorial Band is pleased to be conducting an Easter campaign in the UKI Territory. After serving at their local corps in the USA for Palm Sunday, band members will meet up in London, travel to Chelmsford for rehearsals, billeting, and a concert on Tuesday evening, March 27th at 7:30 PM. The Tour concludes in Boscombe (Bournemouth) as the band attends the annual Easter Convention as special guests. 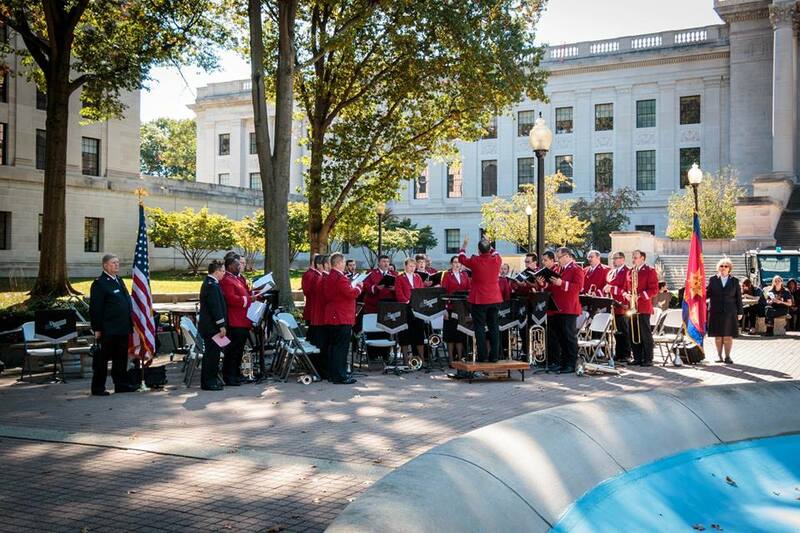 The Southern Territorial Band and Southern Territorial Creative Arts Ensemble will be touring the National Capital and Virginia Division on October 12th-16th, 2016. The band will be featuring the legendary Phil Smith. A full list of the events of the week are listed below, along with a fantastic promotional poster that can be downloaded. We look forward to seeing you there! Friday - 7:00pm: "Story Worth Living"
Hugh Hodgson Hall - University of Georgia, Athens. A Brass Spectacular! 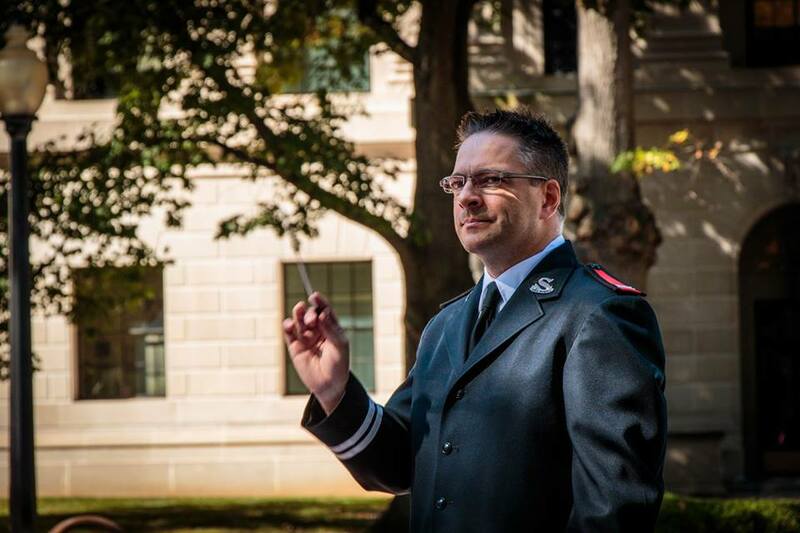 Philip Smith will be directing the Southern Territorial Band of the Salvation Army, the UGA Brass Band, and featuring the Bulldog Brass Quintet. This concert is FREE and should be an excellent evening of spectacular music. An evening featuring Phil & Sheila Smith and the finest musicians and creative artists in the Southern Territory! 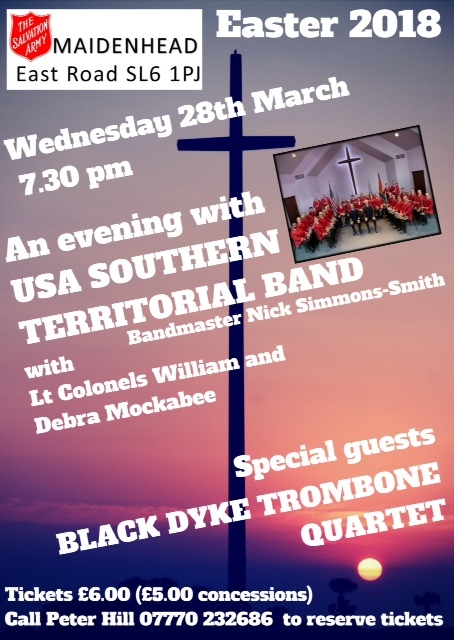 The USA Southern Territorial Band, USA Southern Territorial Songsters, USA Southern Territorial Creative Arts Ensemble will feature in a varied concert with our special guests. Tickets are $5 ($4 for Seniors). Under 13 FREE. This is a fund-raiser for the Boundless International Congress 2015. Please purchase your tickets soon, as there is great demand for this event. See Nick Simmons-Smith or Robert Snelson in the Music Department for tickets or more information. Thursday, October 16th 2014 - Charleston, WV. 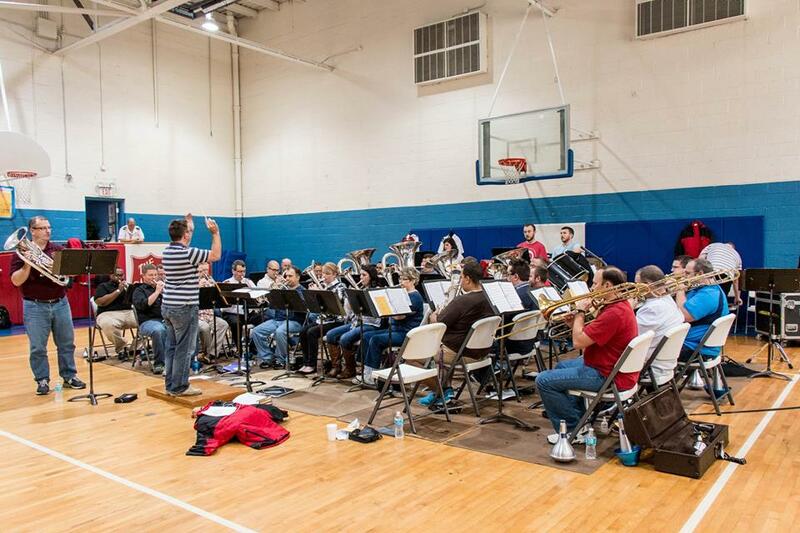 The territorial band started rehearsals Thursday morning at 8:30 am with a couple of hymn tunes to warm up. An ordinary start to an extraordinary day! 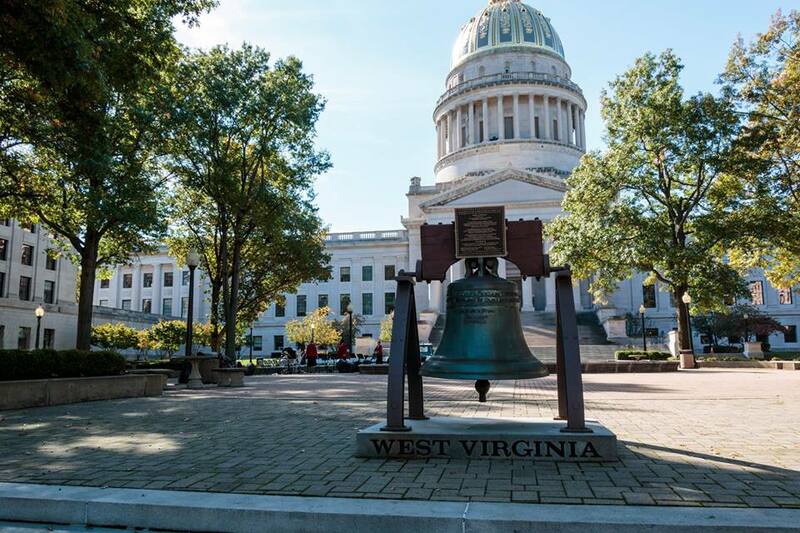 Charleston, WV is a beautiful part of our Southern Territory. Autumn is in full view all around us, and we have been warmly received. As previously stated, much of today was spent in rehearsals for the Territorial Band and Creative Arts Ensemble. But this evening we had the privilege of supporting an annual dinner for the Charleston, WV Area Command. Many volunteers and supporters of the Army's work in Charleston were honored for their contributions of time and resources over the past year. The band started off the evening with preliminary music of Ave Verum (Love Divine) (Jakeway), Washington Salute 125 (Bulla), Down to the River (Fernie), Mid all the traffic (Ballentine), Amsterdam Congress (Skinner) and then a festival arrangement of The Star Spangled Banner (Himes). After a fine dinner the Band opened with the festival march Salvation Song (Gordon) followed by the Creative Arts Ensemble presenting "Make the World with Music Ring!" The Band continued with a solo from Dr. Steve Kellner, Traveling Along (Mallet). For a devotional the band played Serenity (Ball). The Band and Creative Arts Ensemble combined in a presentation of Let Everything Praise (Cordner) and after the benediction combined again for a postlude Praise (Heaton). Overall a great start to the weekend. God is good and we are thrilled to see what he has in store for us on Friday. Friday, October 17th 2014 - Charleston, WV. 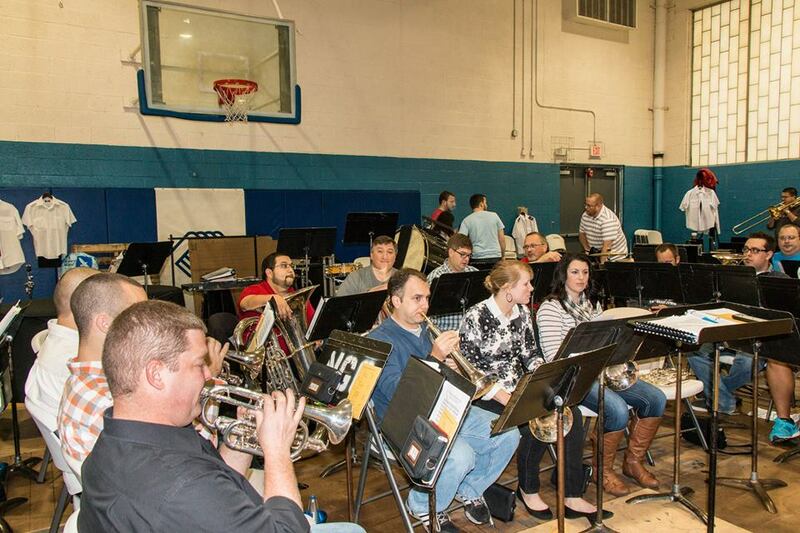 Well, first of all, all of the STB rehearsals this weekend have been in the gym at The Charleston, WV Area Command. Our melodic hymn tune warm up period was a beautiful time of rich harmony and emotional playing of some of our most beloved hymn tunes. The sounds echoed sweetly after the final cut off. Then we played our first march. We quickly learned that staying together as a band during “fast and loud” was going to be a bit of a challenge. ..But what about today? We began our rehearsal this morning with the hymn tune “Peace in Our time O Lord written by Eric Ball. This hymn tune is also the basis of his piece “The Triumph of Peace,” one of our major works for this weekend. The band played remarkably well for the first thing in the morning considering the grueling marathon playing we did yesterday in both rehearsals and our evening engagement. Then Bandmaster Nicholas Simmons-Smith read the band the words of the song and asked us to meditate on those words as we played the hymn again. And sound a nobler call! And turn to thee again. Our building comes to naught? A Kingdom meet for thee. So here’s a partial answer to the question above. 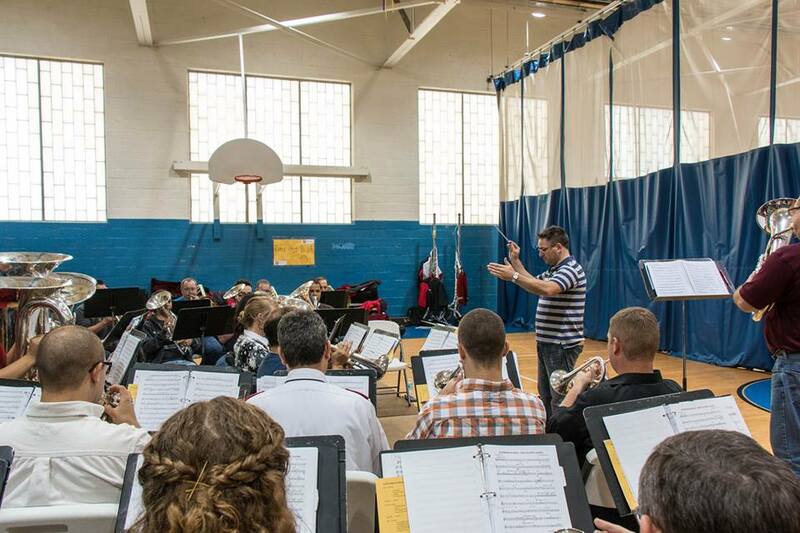 What is it like during a rehearsal with the STB? Sometimes it’s worship. Not just pretty playing by highly skilled musicians. Plain and simple. Worship. You could feel the Holy Spirit’s presence in that gymnasium as the tune was played again. We moved on to “practice” “The Triumph of Peace.” Although there was hard work going on in that gym, I could still sense the presence of the Lord as we played the piece. Jeff Barrington’s sweet interpretation of the cornet solo was moving, and the incredible power and majesty of God could be sensed as the final few bars drew the piece to a climax. We moved on to William Himes piece, “The Blessing.” I have not yet mentioned that we are blessed to be traveling this year with a full complement of quite capable trombonists. Not only are they technically proficient, but you might say “the force” is with them. Near the end of this piece there is a little trombone “fanfare” that is quite an incredible musical moment when played by this crew. All hands were on deck as we packed (and unpacked) the truck for the event at the Capitol. Once in place we waited a few minutes for passersby and folks on their lunch break to gather in the beautiful park like area in front of the Capitol building. They were able to enjoy the gorgeous fall weather while eating their lunch and also had the unexpected opportunity to listen to the band. The American flag blew in the breeze as the band opened with William Himes arrangement of “The Star Spangled Banner.” Another special moment. Some listener’s comments, things like “wow,” and “awesome,” along with exuberant applause could be heard as the last chord echoed and lingered in the air at the conclusion of our National Anthem. The band played two more pieces, the march “Salvation’s Song” by William Gordon and “Let Everything Praise” by Martin Cordner. Then one of the band’s solo cornet players, David Delaney shared a testimony. He got the crowd’s attention with a story about his children. Laughter was heard throughout his humorous tale of life at home with small children. (We understand that his wife may have requested a new pair of shoes after a small incident involving a missing diaper and a very special surprise that was left on the floor by the diaperless child. Hmmmm.) David’s testimony concluded on a serious note as he shared that Jesus Christ was our true source of peace, and made it quite clear that if anyone had any questions regarding their relationship, or lack of relationship, to Jesus Christ, they could ask their questions to any band or TCAE member. The band next played a swing version of the song “Down to the River to Pray.” The song is a traditional American song variously described as a Christian folk hymn, an African-American spiritual, an Appalachian song, and a gospel song. The song rose in popularity after it was performed by Alison Krause for the soundtrack of the Coen Brothers film, O Brother, Where Art Thou? The band switched gears ever so slightly by performing “Hallelujah Parade” by Kevin Norbury. The piece begins with a small Dixie Land style jazz ensemble playing in the front of the band. The tempo picks up with some faster “swing” and other jazz styled sections. The TCAE joined the band in this lite but cheerfully uplifting arrangement. The outdoor concert concluded with another timeless Salvation Army standard, Wilfred Heaton’s march “Praise.” Again we were joined by the TCAE as they added their flare to the finale of the great march. After the concert we packed up the truck (again) and headed back to Charleston Area Command for an incredibly delicious Italian lunch option of either pasta and meatballs or a meatball sandwich (or.. both). More rehearsals followed. After our final rehearsals for the day ended, the STB and the TCAE met together for a few moments focusing our attention on our Lord. 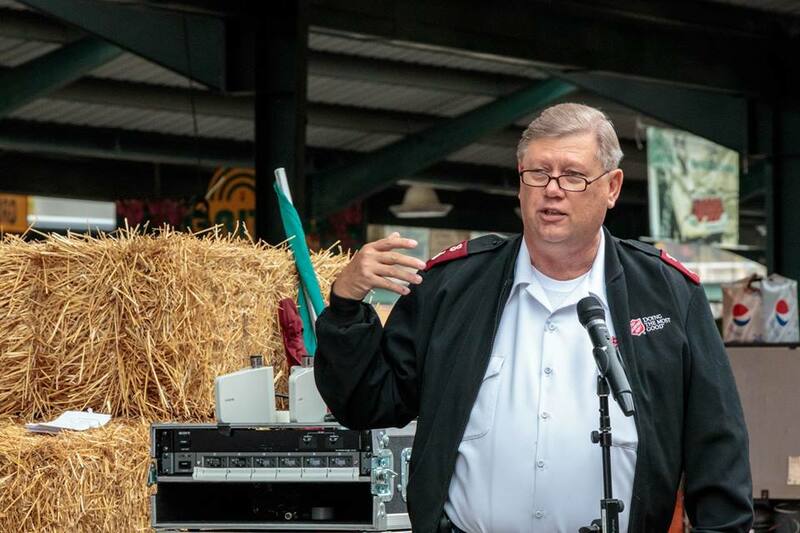 We were blessed and challenged as Captain Mike Harris, our band chaplain, shared a powerful story of salvation, struggle, failure, and final triumph in the life of a man who came to The Salvation Army at his corps a few years ago. The band and TCAE had a fantastic dinner together at the “Fifth Quarter” restaurant in Charleston. Much laughter strained the walls of the private dining area where we ate. Relaxing with good food, good friends and good fellowship after a day filled with intense rehearsing and good but tiring ministry... it just doesn’t get much more fulfilling and better than that down her on this earth! 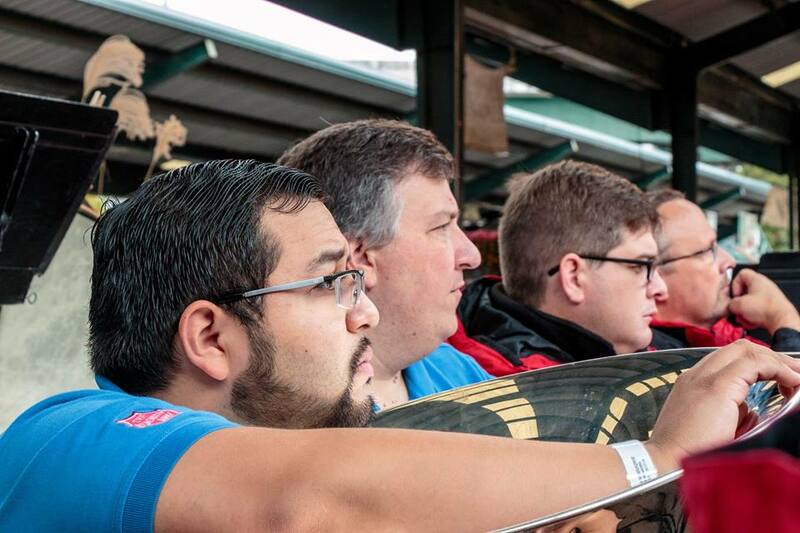 So to answer the questions posed above.. the atmosphere throughout the rehearsals and ministry events, as well as all through the day in the life of the STB and TCAE ministry weekend is: pensive, worshipful, exciting, fun, thought provoking, exhausting, and fulfilling. Peace, perfect peace! Peace, perfect peace! Saturday, October 18th 2014 - Charleston, WV. What a day the Lord has made! 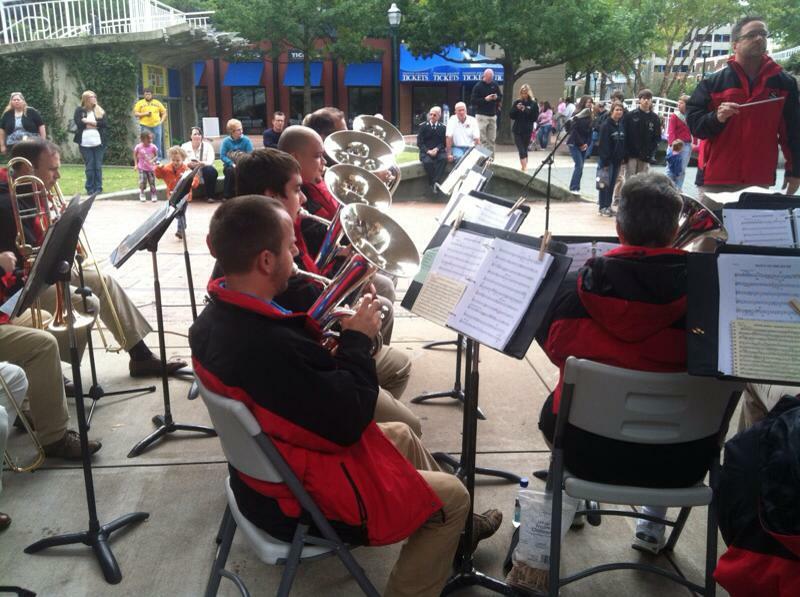 For the Southern Territorial Band today was the perfect example of what one of our ministry weekends entail. 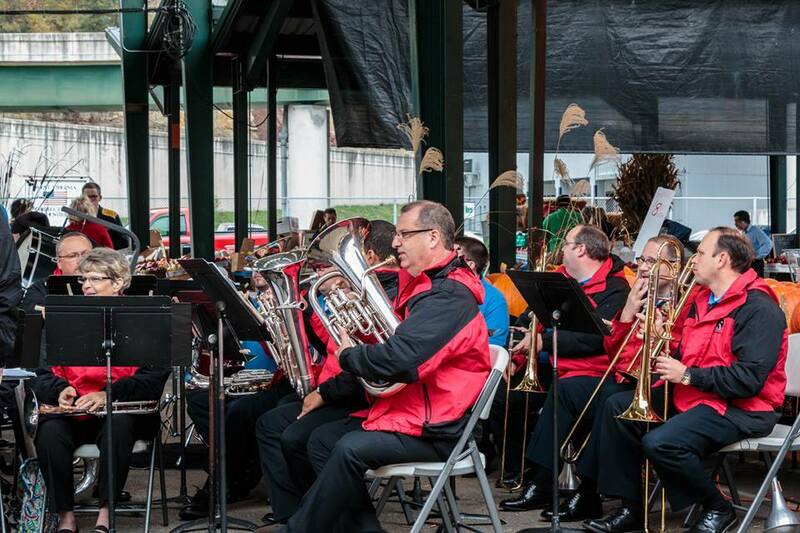 We were able to do two concerts in the Charleston Capitol Market surrounded by pumpkins, chilly fall weather, and of course, music! This market is a lovely farmers market in the heart of Charleston. We played the march 'Praise' by Wilfred Heaton featuring a fun little euphonium part and our traditional timbrel brigade featuring the Territorial Creative Arts Ensemble. ‘Let Everything Praise’ by Martin Cordner also combines the ministry of the STB with the Territorial Creative Arts Ensemble adding not only the music aspect but a more visual performance with dance and even flags. We ended the open air with a quintet starting a southern gospel style song titled, 'Hallelujah Parade' by Kevin Norbury also featuring an energy filled dance by TCAE. It was impossible not to jump up and dance with the music that was being played! For the final concert of the day, we performed a massed band segment with local bands Tri-County Brass, Mountain Brass, and Gospel Brass. It was a great experience getting to know other musicians and share in the fellowship through a musical message. A highlight of this concert was the STB’s performance of “The Triumph of Peace” by Eric Ball. This beautiful and challenging work still speaks to us today about the fact that only Jesus can bring true peace! The massed band performed a number of works including the classic march “Golden Jubilee” by Milton Kippax, Len Ballantine’s “’Mid all the traffic” and “The Blessing” by Bill Himes. Of course the crowd was on its feet clapping along as the massed band finished the concert with “The Stars and Strips Forever” by John Philip Sousa. 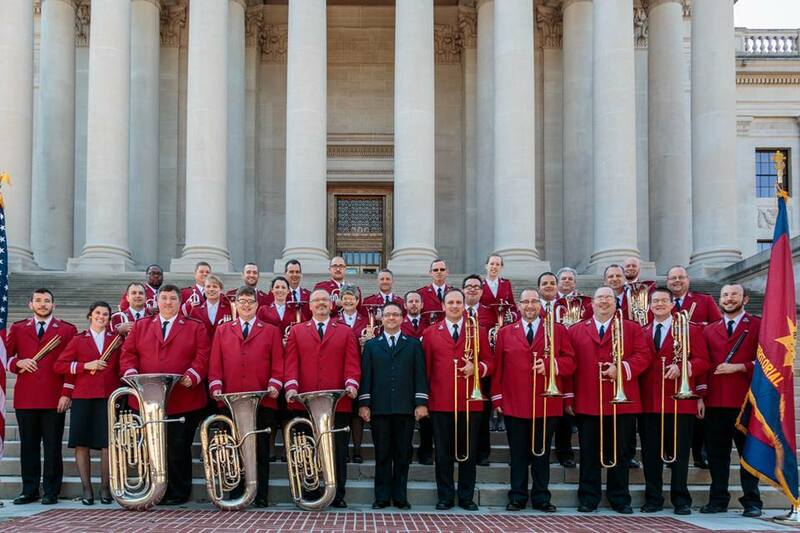 The Southern Territorial Band will be supporting the Salvation Army Retired Officers Association, playing a free concert, and supporting worship at the Lakeland corps! See the schedule below for details. Rehearsals at the Clearwater Corps with special guest Brian Bowen. Open Rehearsal with Roman Festival Brass - Ford Auditorium, Berry College - 1:00 - 3:00 p.m.
Concert with Roman Festival Brass - Fellowship Baptist Church - 7:00 p.m. The morning started with the men and women of the Southern Territorial Band, slightly wet from the drizzle, boarding the bus at The Atlanta Temple Salvation Army church building on North Druid Hills. There was excitement and chatter – like any band trip – with friends reconnecting and catching up. While social media sweeps the world and we all keep up with each other’s lives virtually, there’s nothing like sitting with an old friend, sharing a smile and a hug and that feeling of picking up just where you left off. This is the second time this year that I’ve been able to join with the band and to participate in their ministry, but unlike in January, for this trip I get to sit next to my childhood best friend Connie (Thomas) Barrington in the tenor horn section. Today we traveled to Rome, Georgia, in the first leg of the band’s Great Smoky Mountain Tour that will also include concerts in Cleveland, Crossville, and Chattanooga, Tennessee. Our host for the day is the Roman Festival Brass (http://www.romanfestivalbrass.org/). Members of the RFB met us as we arrived at Berry College for our rehearsal and provided us a wonderful lunch (with homemade cookies and brownies for dessert!). Berry College is situated near Rome about midway between Atlanta and Chattanooga. Boasting a vast 27,000 acres in the Smoky Mountains, Berry College offers Associate, Bachelor and Graduate degrees and has continued to prove successful in combining academic study, student work and interdenominational Christian religious emphasis in this beautiful surrounding since 1902. Among their degree programs is a full offering of Music degrees (for more information visit the Berry College Music page at http://www.berry.edu/music/). We were so very thankful for the hospitality shown to the Southern Territorial Band for our rehearsals throughout the day, one of which was open to the students and faculty of the college and members of the Roman Festival Brass. 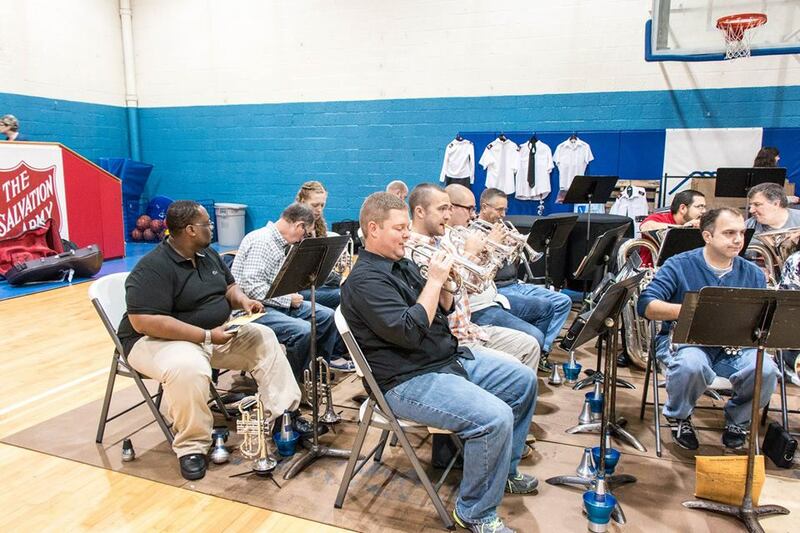 I was happy to see some of the RFB come out to hear the band rehearse. The members of both bands had time to meet and greet one another during the breaks. The band finished up their time at Berry College and once again loaded the bus…on to Fellowship Baptist Church for the setup and sound check prior to tonight’s concert. After our sound check, we had another opportunity for band fellowship over dinner hosted again by Roman Festival Brass. Cici’s Pizza didn’t know what hit them! With more than 50 brass and percussion players descending on the buffet line, we kept the pizza ovens hopping. One thing I like about being in the South is sweet tea, and I got my share tonight. Food and fellowship go hand-in-hand with the brass band experience, and tonight’s dinner was no different. Stories flowed as abundantly as the sweet tea, and laughter boomed through the restaurant. With tummies full, we head back to the church to prepare for the concert. The Roman Festival Brass started the concert with William Himes’ arrangement of the National Anthem. Their portion of the concert contained several works by James Curnow and included hymn settings, theme and variations, a collection of spirituals, and a classic British march. I liked Jubilation (Curnow), which included two favorite spirituals “Sing When the Spirit Says Sing” and “Ev’ry Time I Feel the Spirit”. The RFB finished their half of the concert with an energetic rendition of March of the Cobblers (Barrett/Siebert), which you might remember from the movie Brassed Off! After the concert I had a chance to chat a bit with the Fellowship Baptist Church Minister of Music Lance Cole. 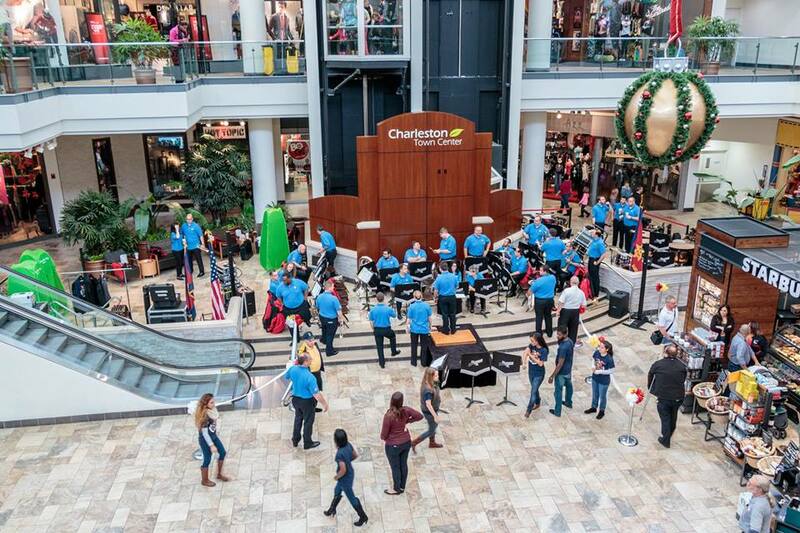 He expressed how happy he was to have the band and how we had helped answer a prayer…you see, for months he has been trying to reach out to a local group of band directors and bring them into the church. He beamed as he told me that every one of them had attended tonight’s concert specifically because the Territorial Band was coming through. What a blessing! You can find out more about what Fellowship Baptist Church is doing through their various ministries by visiting their website at http://www.fellowshiprome.org/. I will end tonight’s blog with my own testimony of why I do what I do. I have played a brass instrument since I was 6 years old, growing up in The Salvation Army at the Atlanta Temple Corps (church). I had the amazing opportunity to study music with some of the top professional musicians in the country at summer camps and through the weekly programs hosted by The Salvation Army throughout the school year. It was at one of these music camps – Camp Grandview in Jasper, Georgia – when I was 13 that I first decided that I needed be accountable to God for the gifts of music that he had given me. I wanted to play for Him. I continued to practice and started going to college for music, all the while still attending The Salvation Army and remaining active in the music groups there. It was when I was 19 that I attended The Salvation Army’s National Music Camp just outside Toronto, Canada. One night the evening devotions at camp helped me to see what I was missing. I didn’t need to just play my music for God to be kept between us…I needed to share it with others, so that an open mind and willing heart may also find Christ. I think that every member of the Southern Territorial Band would agree that praising God and bringing others to Him are the WHY WE DO WHAT WE DO. 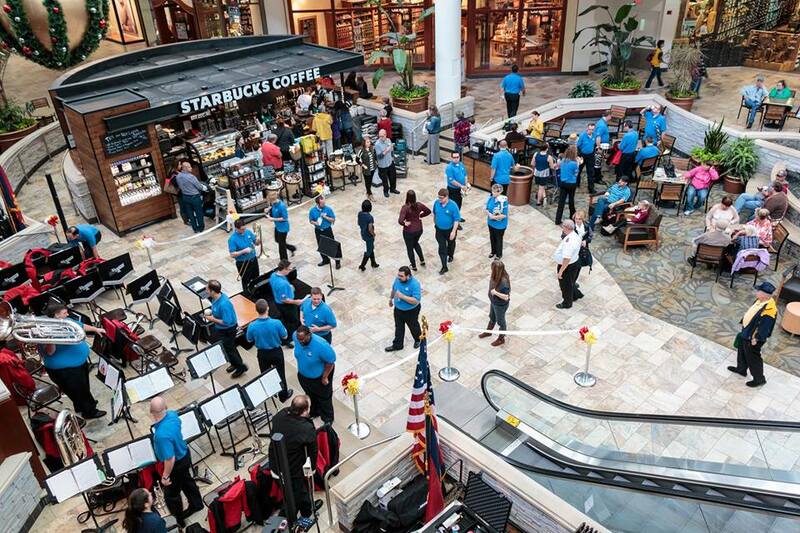 Be sure to check back On Tour tomorrow to follow the Southern Territorial Band on their Great Smoky Mountain Tour! Concert - Fairfield Glade United Methodist Church - 3:30 p.m.
Concert - Fairfield Glade United Methodist Church - 7:00 p.m.
Palace Theater on Main Street in Crossvile. If you plan to attend and cannot make it to one of these locations please contact Dwight Wages at dwight.wages@gmail.com. After a much-appreciated sleep in this morning, members of the Territorial Band began to meander into the lobby of the Holiday Inn Express in Cleveland, Tennessee, around 10 AM in anticipation of today’s journey. 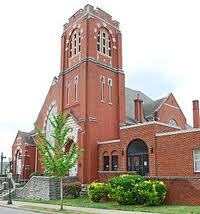 We head to Crossville for a double header (two concerts) at the Fairfield Glade United Methodist Church. I ask the question, “Why a double header?” to which the answer was, “Because the venue sold out and a second concert was added.” Outstanding! On the bus, conversations are buzzing…or was that just the extra hit of Smart Roast coffee from the Holiday Inn Express?? Either way, I had the chance to catch up with Dr. Richard Holz, a dear friend with whom a lengthy, nostalgic conversation was long overdue. I’ve known him since I was six, and in fact he was my first YP Band Leader (when he finally let me join the program when I was nine!). The bus ride took a couple of hours before we stopped en route to the church at Lefty’s BBQ, a quintessential mountain BBQ joint with pulled pork, pulled chicken, brisket and all the sides you’d expect to find including Lefty’s Stew – a house-made version of Brunswick stew. The food was good, but not as good as the time with friends. One of the great things about this group is that each time we get off the bus and “regroup” I find myself with a different set of friends – there are no cliques, no “them” and “us” in this group. And each time, a different set of memories and stories makes us all laugh heartily. We enter Fairfield Glade, TN, (just outside Crossville, TN) and I notice that the town has a Community Announcement marquee. Did you catch that? The town not the church has a marquee. I can’t remember the last time I saw a community marquee! Turns out that Fairfield Glade started as a vacation resort town, but has become a retirement community as the vacationers all retired and could find no better place than their favorite vacation spot to spend their time. Not long after we enter the town, we arrive at the Fairfield Glade United Methodist Church where we find an amazing “campus” that reminds me of summer camp with the multiple buildings, a small prayer garden (not sure it actually was a prayer garden, but that’s what I’m calling it), an outdoor tabernacle in the woods…it’s really beautiful. In association with the Rotary Club, the church has started a program called L.I.N.K.S. (Lonely Instruments in Need of Kids) where community members can “loan” old instruments that might just be gathering dust to a child who wants to learn to play. To find out more about FFGUMC and their services and ministries, visit their website at http://www.ffgumc.com/. The sanctuary was nearly full as we began the first half of our double header. This 1-hour concert included all three of our soloists mentioned in yesterday’s blog – all well-received again with beautiful musicianship and artistry in each performance. The band’s “big” piece is The Last Amen by Dr. Peter Graham, a Scottish Salvationist composer now living in Cheshire, England with his family. An exciting piece for the players as well as the audience, we finish the first half while receiving a standing ovation. Percussionist Bernie Dake signals that it’s time for the band to take their seats and the audience to find theirs by vamping on kit and eventually Euphonium soloist Dr. Steve Kellner comes in to start Down to the River (Alan Fernie) without introduction. I can’t help but think of the Sirens from O Brother, Where Art Thou as we hear this timeless church melody in an upbeat swing style…it doesn’t hurt that Connie Barrington keeps reminding me of the scene, too! The concert ends with an invitation from Bandmaster Nick Simmons-Smith for the congregation to reflect on the beautiful Salvation Army Hymn Setting In Perfect Peace (Kenneth Downie). Following a delightful homemade meal provided by the folks at the Fairfield Glade UMC and a short break, we begin the second half of our double header (sorry for the baseball references, but IT IS the MLB Post Season!). We played a similar program for the folks of Fairfield Glade that couldn’t get tickets to the first performance. It was an enthusiastic crowd – and we even had a heckler making the concert a bit more interactive than expected! We added For Our Transgressions following the devotions by Lt. Colonel Willis Howell (Bass Trombone). The audience was equally appreciative of the efforts of the band and soloists in the performances in our second concert as we again ended with a postlude of The Day Thou Gavest. This evening, the men and women of the band stayed with folks who volunteered to host us in their homes. I met my billets Gary & Nancy Burlson, who loaded my things into the car and whisked me away to their beautiful home in the nearby mountains. We take a scenic drive “home”, and although it was dark out, the full moon illuminated the lake we drove over; it was simply gorgeous. I chatted a while with the Burlsons over a scoop of chocolate ice cream with fresh strawberries and then called it a night to tell you about our day and get some rest before we head off to Chattanooga, Tennessee, tomorrow morning bright and early. I’ll finish tonight’s blog with the thought that started my day and is a theme that’s been touched on several times already throughout the tour. 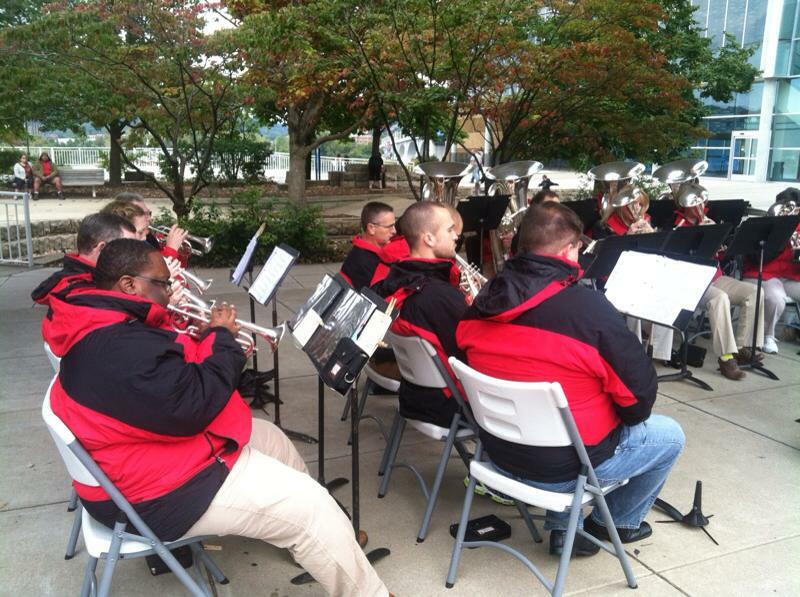 When a Salvation Army band plays a concert, it’s not just a performance for the pleasure of the audience. It is an opportunity for worship. For those who already have a personal relationship with Christ as their savior, it is a way to strengthen it and reconnect. For those who do not yet know Christ, it is quite possibly the chance for them to meet Him and get to know Him. All this happens through the message contained in the music. One of my favorite devotional pieces is The Light of the World by Sir Dean Goffin, which was inspired by the William Holman Hunt painting of the same name (http://en.wikipedia.org/wiki/The_Light_of_the_World_(painting) ). The painting shows an image of Christ standing at a door with no handle on the outside illustrating the Scripture found in Revelation 3:20, “Behold, I stand at the door and knock; if any one hears My voice and opens the door, I will come in to him, and will dine with him, and he with Me.” You see, the Lord keeps coming…standing at the door and knocking…and waiting for the door to be opened from the inside. And the painting shows not the door of the Righteous, but the long-closed door to the heart of men and women who need him the most. He doesn’t give up. All we need to do is open the door and let Christ in! I leave you with this prayer for myself and for you…Lord, through Your Word may I receive correction, receive instruction, and by faith open my ears and heart to receive You into all there is of me. All there is of me. We started day three with an early departure from Fairfield Glade, Tennessee, headed toward Chattanooga. As we gather at the Fairfield Glade United Methodist Church, the topic of most conversations is the billets from the night before – the beautiful homes, the tasty breakfast, the wonderful fellowship shared with our hosts. We’ve all learned a lot about Fairfield Glade, and many of us are talking about the invitations from our hosts to come and visit with our families. Who knows? Some lasting friendships may have begun in this mountainside oasis during the Territorial Band Great Smoky Mountain Tour! We had a three hour bus ride to Chattanooga, and I have to admit that the conversations were a little less lively today – day 3 – of the tour. Members of the band are a little tired from lack of sleep last night, but there are some bandsmen that continue to talk…the entire time to Chattanooga…amazing! 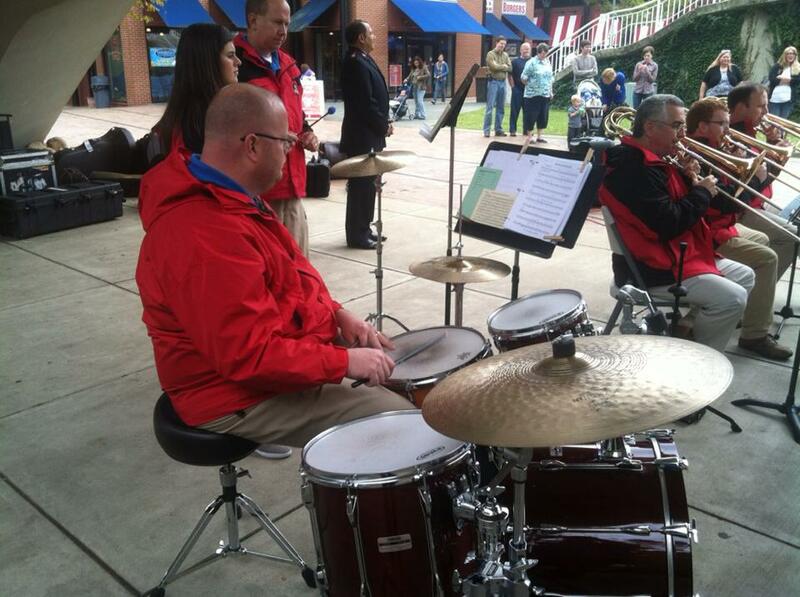 Our first engagement in Chattanooga is an outdoor concert at the Tennessee Aquarium Plaza. It’s the first time the band has had to wear our cold weather tour jackets. It’s a little breezy but perfect autumn weather. The crowd is good for a Saturday afternoon, and we start to see some of the members of the Jericho Brass Band with whom we will share the evening concert. 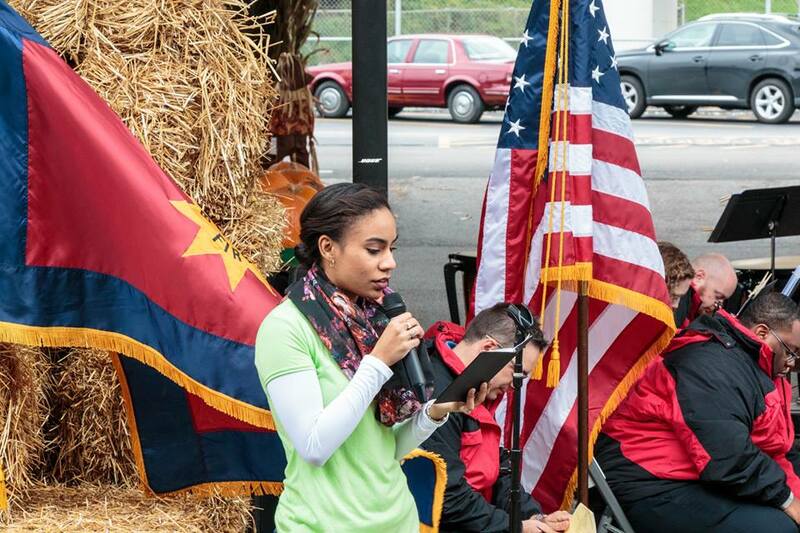 This is a real open air setting; something our Salvation Army forefathers did on a regular basis to draw people to the Lord and to the church. After the short program, we had lunch on our own and were provided tickets to the Tennessee Aquarium (http://www.tnaqua.org/), which has been voted America’s top aquarium three years running. The exhibits included whale sharks, jellyfish (one of my favorites) and crustaceans galore. Before loading the bus, we had a little more free time to explore the Tennessee River riverfront area, which was just beautiful under the gleam of the sunshine! We soon loaded the bus to head for Cleveland, TN, and the Westmore Church of God, where we met up with Jericho Brass Band for a sound check and massed band rehearsal. 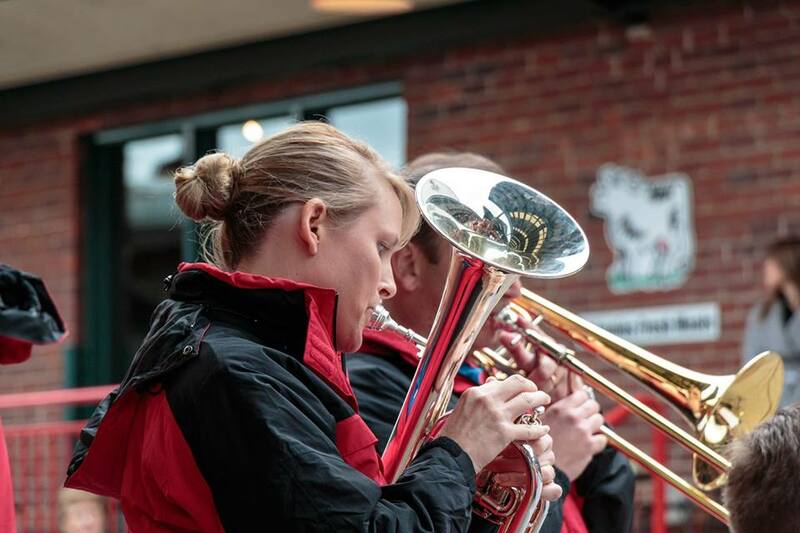 There’s a connection between the Jericho Brass Band and The Salvation Army that goes back to Major Otis Street, a Salvation Army officer that many in this current Territorial Band will remember growing up. More about the history of Jericho Brass Band can be found on their website at http://www.jerichobrassband.org. Both Territorial Bandmaster Nick Simmons-Smith and Jericho Music Director Frank Hale led the massed band in items that were to be included in our evening concert. 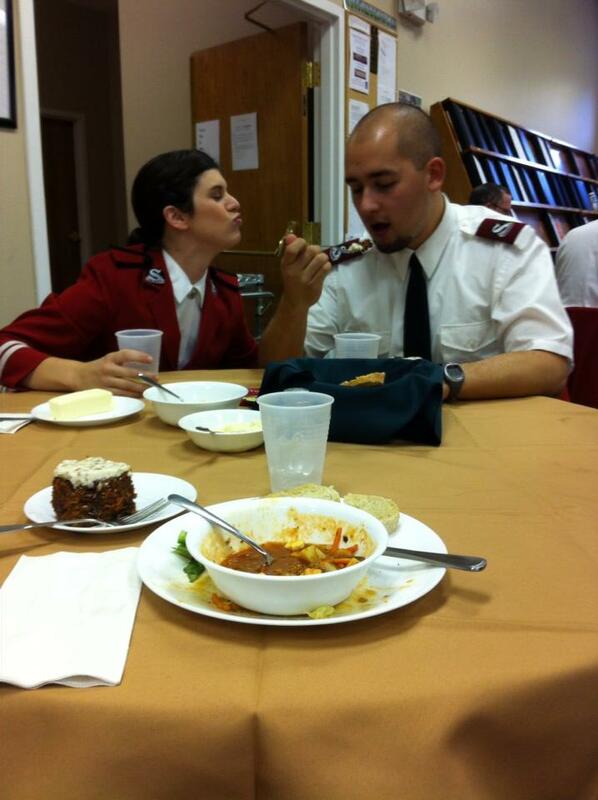 The Salvation Army in Chattanooga hosted both bands for dinner serving a feast of home-style favorites. We are so grateful to Major Al Newsome for his and his staff’s generous hospitality over the last two days. Major Newsome, Area Commander of The Salvation Army in Chattanooga, also served as the emcee of this evening’s concert introducing the Jericho Brass Band who kicked off the concert. The first half of the concert included some great music. Great solos, duets and small ensemble playing within the band and an introduction for me to a Paul Lovatt-Cooper Tenor Horn Solo (played by Tracy Street) entitled An Untold Story. The Territorial Band traded places with Jericho to begin the second half of the concert. I was surprised as I sat on the platform to see how few people attended the concert. The band by far outnumbered the audience, which was surprising given the two sold-out performances we gave yesterday in Fairfield Glade and the beautiful weather we had today. The concert finished with the two massed band pieces Washington Salute 125 (Bulla) led by Frank Hale and In Perfect Peace (Downie) led by Bandmaster Nick Simmons-Smith. The sensitive playing of the massed band was a beautiful finish to the program. We headed back to the hotel to get a good night’s rest before playing our last service of the tour tomorrow morning at the First Baptist Church of Chattanooga, which should be a strong finish to these last four days of ministry. There is much comfort in knowing that no matter the trials and tribulations, the sorrows, the pain, our Lord Christ will always triumph. He alone can bear our burdens and free us from Satan’s grasp. As we conducted our open air meeting today along the beautiful Tennessee River, these words came to mind and the message true in my heart…Whatever is -going on in your life – good and bad – give it over to God, so that His peace can flow over you like a pure, gentle, and calming river making everything well with your soul. Concert with Jericho Brass - Westmore Church of God - 7:00 p.m.
Worship - First Baptist Church of Chattanooga - 10:00 a.m.
Well, it’s the last day of the tour. Bittersweet thoughts today as we head back to our homes and families, but realizing that this incarnation of the Southern Territorial Band has reached a very high musical standard over the last few days. The short trip from the hotel to the First Baptist Church in Chattanooga was a beautiful drive – the sun is shining and the Lord has truly blessed this day! The church – the building itself – is amazing. Two-story ceilings, exposed brick, wood floors, and stained glass. There were a couple hundred worshippers in the service, which was also a baptism Sunday. It was really a great experience, and the band was well-received by the congregation. We played a short preliminary and then acted, as we are so used to doing, as the “duty band.” We accompanied congregational singing of hymns along with the organ, and what a glorious sound that was in the magnificent sanctuary. We featured two of our soloists this morning – Jamie Hood playing Standing on the Promises (Court) as the offertory and Steve Kellner playing In Christ Alone (Downie)as a meditation. Again, the sweet sounds of these two soloists soared to the rooftop as the congregation, as well as the band, were blessed. 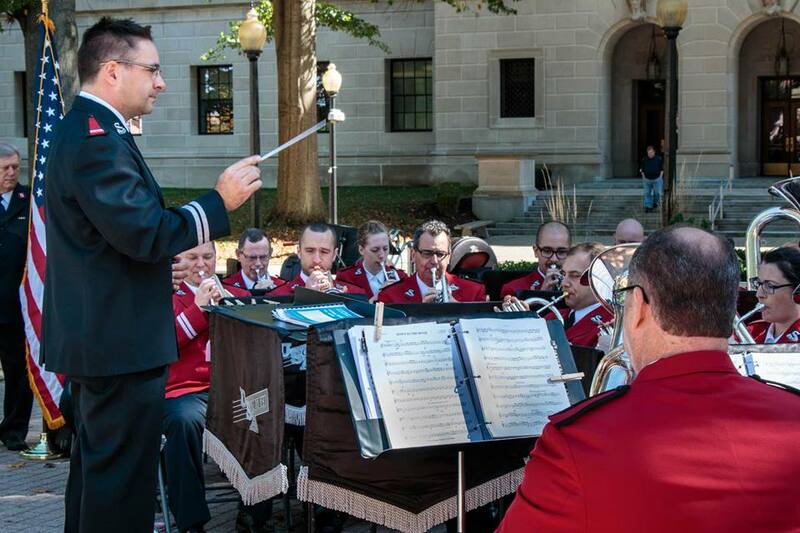 We were reminded several times throughout this short tour that Salvation Army bandsmen play not just for musical edification, not just trying to please the audience, and not just to hear ourselves play, but as a means of praising the Lord. For those who already know the Lord, it’s the chance to commune with Him. And for those who do not know Him, it could be the introduction they’ve been waiting for…that He’s been planning. 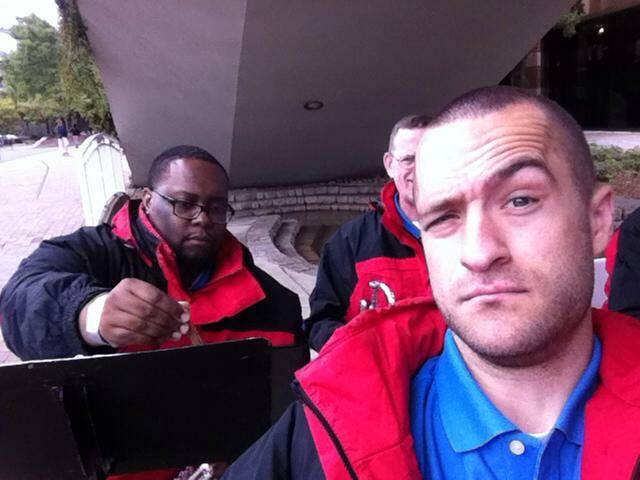 The purpose of a Salvation Army band – and this Southern Territorial Band – is one of ministry and mission. It has been a real treat for me to join with these dedicated and devoted men and women for the last few days to witness to fellow believers, musicians and non-musicians that we use our musical gifts and talents in His service! And sweetly sleep the whole night thro’. 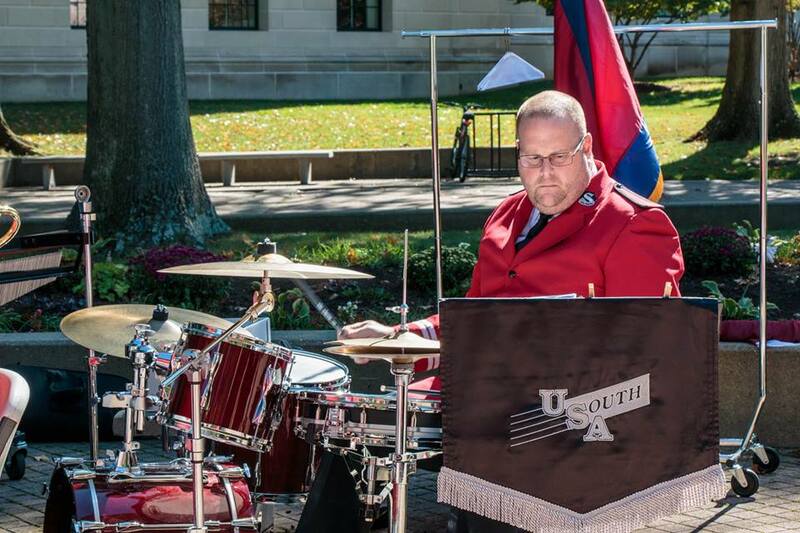 To the men and women of the Southern Territorial Band, remember that you are an inspiration wherever you are. Stay strong in the Lord and continue your ministries as you travel safely home. I enjoyed my time in fellowship with you this week. Thank you for doing what you do!